Whether you are a knowledgeable local or you are planning your Thanksgiving vacation in Sheridan, the holiday season is a great time to be in our little mountain town. Spirits are high and there is plenty for visitors to experience. Here is everything you need to know to make the most of Thanksgiving weekend in our festive western town. Thanksgiving Day is all about traditions. For some of us, that means a lazy morning of sweets and spiked hot cocoa before the big bird bash. For others, it means lacing up and hitting the pavement. The Turkey Trot and Fun Run, now in its 40th year, includes a 2.8 mile run/walk option and the 1-mile “Chase the Turkey” Kids Race. Prizes will be awarded to the top male and top female finishers as well as the top youth male and youth female finishers. Canned food donations benefit The Food Group. If a hot mug of hot apple cider helps you warm up to the holiday shopping season (and then some). 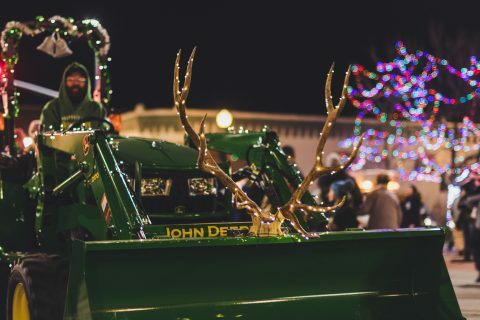 Raise a glass at the 23rd Annual Christmas Stroll, an outdoor holiday celebration on Sheridan’s Historic Main Street that showcases downtown businesses with an added pinch of healthy competition (and maybe a little luck…). Pick up your numbered Stroll Button and hunt for that special number at participating businesses to win prizes. Small Business Saturday (N0v 24th) was designed for small towns like Sheridan where the businesses are locally owned but the goods are top notch. 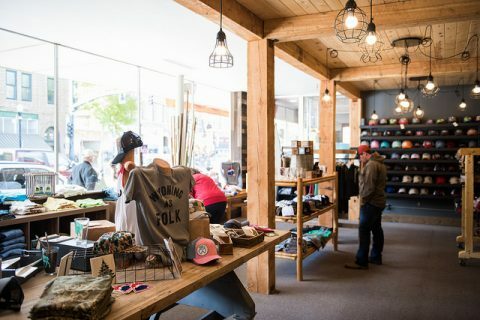 Stop by downtown storefronts to browse art galleries, a marketplace stocked with one of a kind handmade gifts, shop businesses with locally made home decor like Little Willow Traders and Accents of Wyoming and shops like Bighorn Design Studio and High Mountain Mercantile to snag Wyoming themed gear to send to your family and friends across the country. Get a taste of Black Friday—minus the big-box crowds—at the Warren Miller’s 69th winter sports film – “Face of Winter”. A good deal on a huge thrill is all you will need this Black Friday. 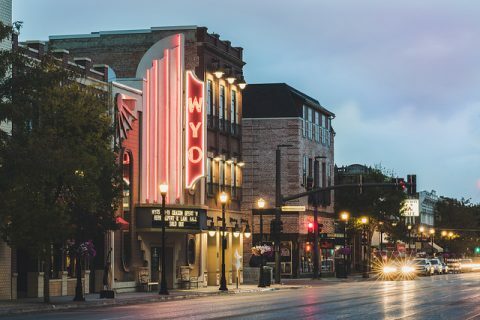 Kick the winter season off with a bang at the Historic WYO Theater where the most iconic winter film will be rolling and exclusive prizes and trips will be awarded to several lucky attendees. Make new memories at the M&M’s Center with friends and family during Open Skate in our temperature controlled, indoor ice skating rink. Open Friday from 3pm to 5pm and Saturday from 1pm-3pm and 7-8:30pm, a relaxing glide across the ice is a perfect filler during other holiday festivities. In addition to offering a state of the art facility, the M&M’s Center provides free rental and free skating. Holiday classics come to life when the voice of local favorite, Jalan Crossland, sings them. Combine holiday cheer with holiday beer and you get… MORE HOLIDAY CHEER. 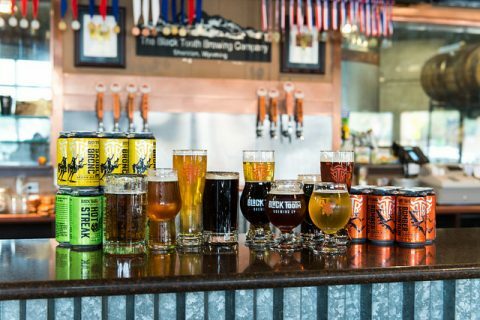 Black Tooth Brewing Company is celebrating it’s 8th Anniversary and it’s a celebration you won’t want to miss. Stroll up the street for a Rock N’ Roll party with Cruisin at Luminous Brewhouse. Kick off the Holiday season with your dancing shoes on!